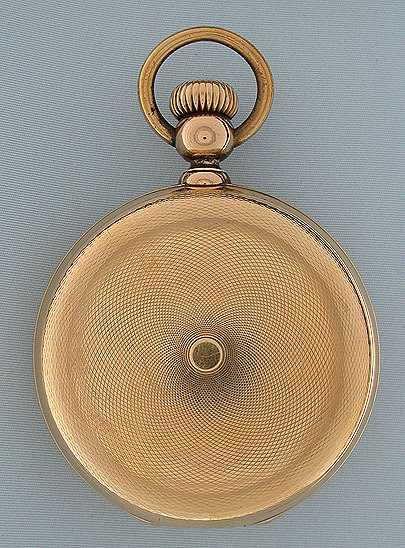 Heavy 18K gold Hampden 18/S hunting case Special Railway antique pocket watch circa 1897. The engine turned approximately 49 dwt case with just the slightest edge pocket wear. 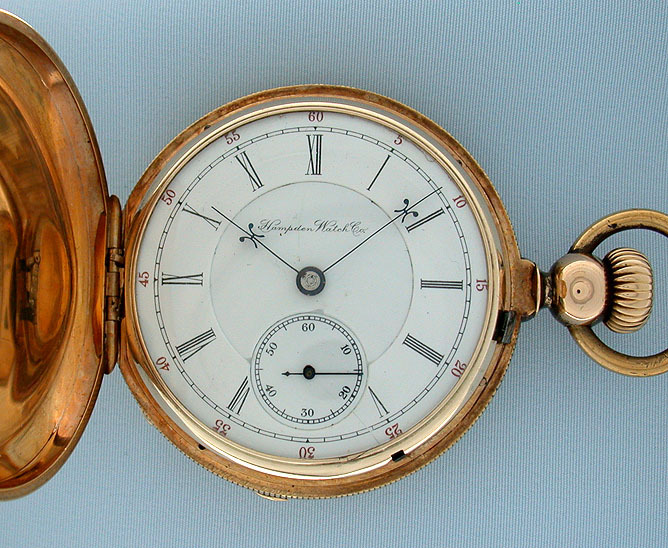 White enamel dial (hairline and minor flakes) with red and black numerals and blued steel hands. 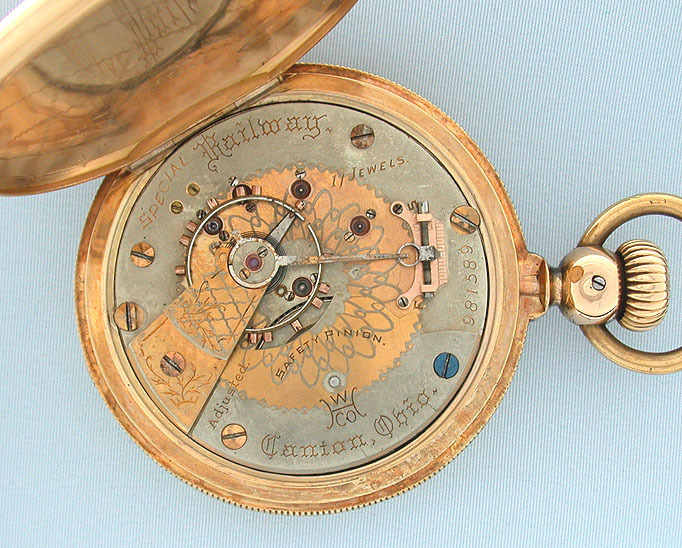 Damaskeened two tone 17 jewel movement with precision regulator and screwed jewel settings.